Jack and Gloria? It's hard to believe, isn't it? They've got something going on, but it's difficult to describe. There's not any real love or affection or even friendship between them, that's for sure. Whatever it is, their relationship is rather yucky. Actually, I find it nauseating. Gloria, of course, is just using Jack for her own purposes. Her motives are purely selfish. She wants an executive suite at Jabot. For her, Jack is merely a means of getting the status and the money she craves. As for Jackie Boy, I've never seen him sink so low as to become involved with Gloria. She is just BAD NEWS and Jack's involvement with her is toxic. Not only that, but she is his former stepmother (She was married to John Abbott). Ugh! Has Jack lost his mind? He's certainly hit the bottom of the barrel. It won't be long before Jack and Gloria's relationship (if you can call it that) will be public knowledge in Geona City. Nikki has already seen them together at the GC Athletic Club. Phyllis also suspects something is going on between them. Soon Ashley will learn about it and she will not be pleased, to say the very least. Thanks to head writer Sally Sussman's devotion to the history of Y&R, we have been enjoying some great old flashbacks of Mrs. Chancellor and Jill. Then there's that huge portrait of Mrs. Chancellor. It looks so real, it's almost eerie. One almost expects the Grand Old Dame of Genoa City to speak or step out of the photo. No wonder Jill was spooked when she received a letter in Mrs. C.'s handwriting. When Katherine confessed in the letter that Philip had truly loved Jill, it brought closure to that seemingly endless feud between Katherine and Jill. Jill finally found some peace of mind after reading Mrs. C.'s letter. However, her anger returned when she learned that for years Katherine had denied her the special ring Philip had wanted her to have. Aside from her heart condition, Jill has to deal with her scoundrel of a husband, also known as "The Blunder from Down Under." Colin is the male version of Gloria. He just goes from scam to scam, the latest being the music box scam. Colin loves Jill, but he loves money more. He just can't help himself. He's an incorrigible cad. As for Jill, she just can't wash the no-good Aussie out of her hair. Sally Sussman is certainly trying to reconstruct the glory days of the show, when Katherine Chancellor reigned supreme in Genoa City. Sussman and her writing crew have thought of everything to link the present with the past. Murphy was even brought back for a visit. Victor Newman is definitely up to something. Longtime viewers will remember Leanna Love, the gossipy reporter who wrote a scandalous expose of Victor. Leanna's book was titled Ruthless: The Victor Newman Story. Moneybags Newman has been rereading Ruthless and says he plans to write his autobiography to set the record straight. The Black Knight never does anything without a motive. What kind of plan is he concocting in his devious mind this time? Even Nikki has trouble believing her scheming husband only wants to provide a legacy for his children and grandchildren. Nick and Chelsea are having their moment in the sun right now. However, it certainly won't last. Why not? Well, there are too many things against it. The biggest obstacle, of course, is the huge secret Chelsea is keeping from Nick, that Adam is actually Christian's father. When Nick finds out, as he inevitably will, he will be furious with Chelea. He's been through enough secrets and lies with Sharon. It also doesn't help Chelsea's case that Faith wants her parents to reunite. Now that Sharon has lost Dylan, Faith won't stop hoping that she will get together with Nick again. At the moment, Sharon isn't keeping any secrets from Nick. That gives her the inside track. That is why I expect Nick and Sharon to eventually reunite, especially with Sally Sussman as the head writer. Many years ago, Nick proposed to Sharon at Crimson Lights, the Genoa City coffee house. They later purchased the place and ran it together. Now that Sharon is running Crimson Lights again, it wouldn't surprise me if she rekindles a romance with Nick there. It would be just like Sally Sussman to make that happen. On March 1, 2017, Thad Luckinbill (ex-J.T. Hellstrom on Y&R) filed for divorce from Amelia Heinle (Victoria Newman) in Los Angeles Superior Court, citing "irreconcilable differences." The couple wed on March 3, 2007 and are the parents of two children, Thaddeus Rowe, 9, and Georgia, 7. Luckinbill portrayed J.T. from 1999 until 2010, eventually marrying and divorcing his wife's soap character, Victoria. Since leaving The Young and the Restless, Thad, 41, has produced successful films (including the Oscar-winning La La Land) along with his identical twin brother, Trent. A new character will be introduced on The Young and the Restless. 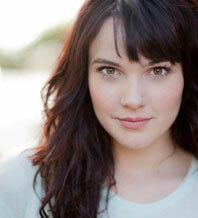 According to Soap Opera Digest, Cait Fairbanks has been cast as a young singer named Tessa Porter. Tessa is described as an "upbeat, free-spirited singer with a strong intuition about people." Fairbanks is a newcomer to soaps,but has made appearances on TV shows such as Two and a Half Men and KC and the Underground. She will make her Y&R screen debut on Friday, March 24, 2017 on CBS (Monday, March 27 on Global TV in Canada). Victoria's teenage son. They will probably meet at The Underground where Reed sings and plays the guitar. 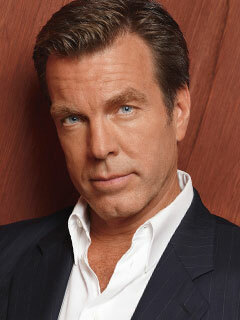 Jack Abbott has been involved with many women over the years, including his ex-stepmother, Jill. Now he's dallying with Gloria, another former stepmother. What do you think of Jack and Gloria's relationship. Take the poll below. How would you describe Jack's relationship with Gloria? That's all for now. The next edition of Y&R Report will appear in this space on March 18, 2017. In the meantime, enjoy the show.